Actually, after playing through Generations, I had a hard time in deciding which Sonic levels I liked better. I couldn’t come up with a winner. Both had a unique way of looking at each level, and both threw in surprises that kept things fresh and interesting – particularly when the classic Sonic got to the modern Sonic’s levels, where I thought the designers might lose inspiration since they don’t have any nostolgic moments to call upon. Instead, they brought the nostalgic moments of levels they left out into the new environments. For example, I started off Seaside Hill from Sonic Heroes as classic Sonic and missed a jump to dry land, falling in the water below. I instantly recognized design elements from Sonic 2's Aquatic Ruin Zone; rewarding patient, careful platforming with dry feet, while punishing unpolished quick actions with a hindering underwater escapade. Unlike Sonic Colors, which I did watch gameplay videos of, these levels are not quick little events. They are long and fleshed out, but never feel like they are too long (unless of course you’re on your last life, which did happen to me a few times). They are certainly comparable in length with the levels of some of the Sonic franchise’s highly-held games. The game did have a few black marks. While the level design was great, the level diversity was sub-par for a Sonic game. There were many urban environments – of the nine levels, four were city-based, not counting the Chemical Plant. They did new things with each, though, so it kept it fresh in that regard. Also, while this is not exactly game-related but more the message that this game being good sends: if this is someone’s first exposure to the blue hedgehog, and they were curious enough to pick up the games related to a level they liked – let’s say Crisis City, for example – they might be in for a rude awakening when they find the game the level was taken from is, quite frankly, not as good. For those who like Sonic’s portable games, your only recognition is going to be an unlockable song or two. This is an issue with the gaming industry in general rather then the Sonic franchise. Portable games such as the Sonic Advance series which have been keeping the memory alive (in my opinion) are hardly even acknowledged in this retrospective. I’ve unlocked Neo Green Hill Zone and Leaf Zone music, and that’s about it. Certainly Sonic Advance is more a Sonic game then the ironically titled 2006 game was, which gets its own level. Speaking of music, the tunes you unlock can be used to replace that of the levels you play, as in Super Smash Bros. Brawl. This is cool; if you thought running through the Green Hill Zone Act 2 was fun, wait till you do it with Sonic CD’s “Sonic Boom” in the background. There’s certainly a lot of good music in the hedgehog’s world. Unfortunately Generations adds nothing new here beyond remixes – but as these are remixed levels, new music wouldn’t exactly be appropriate. The plot was handled well, starting off with a strange form stealing Sonic’s friends, which some might joke makes this the best antagonist ever. The story deals with Sonic going through his past to try and save everyone before the final confrontation. This works well, and the levels flow together nicely. In fact, the level-selection mechanism is handled better than any other Sonic game to date. In the past, it was kind of a drag; you’d pick from a list, a map, or a save screen. In Generations, the selection screen is like it’s own 2D level; you move Sonic to the level you wish to play. You also access the challenges for each act in this manner. There are five challenges for each act. I have yet to find any that are terrible; each throws an interesting spin on gameplay, sometimes with levels that seem entirely different. In one, you have Tails fly you around as he did in Sonic 3. An example of a “bad” one from game reviewers was Cream’s game, where she dropped rings for you. This was honestly not that bad; it certainly wasn’t as bad as the werehog levels in Unleashed that you were forced to play. I was pleasantly surprised they were able to make a level with Charmy Bee where he is actually useful. Or as Captain Kirk says at the end of his Generations. "It was... fun." Yup I see what happened, GreenReaper Googled "Aqua Run Sonic 2" and Google fails returning "Aqua Lake" zone from Sonic 2 for the Game Gear. That's a different level entirely, that one you're kind of forced into the water. Though in reality I probably messed up between the two as well and got some hybrid of the two. I found some "Missing" and "Wanted" poster easter eggs with obscure character references. You should play Colors. It's the better game, and better than Generations in terms of balance and design. Generation's mistake is its own premise. Because retro Sonic is 2D only, the designers couldn't put enough platforming sections into modern Sonic - his courses are mostly 3D, and there aren't enough good ideas for play mechanics and level designs that work there. In Sonic Colors, the stages are all 30% 3D, and 70% 2D. The 2D sections are masterfully designed, and Colors' fresh, original power up system is put to extremely good use. 3D is only used for brief linking segments between meaty 2D sections, or when the design team did have a very good idea for a 3D section that's actually fun. 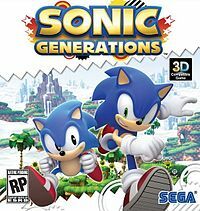 Generations is a good game, but it is hobbled by modern Sonic's reminder that making a character like Sonic work in 3D for most of a level is very hard and inherently awkward. 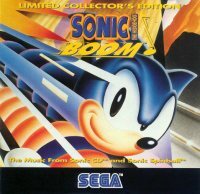 And now we have Sonic CD - I must admit, I'd like to see this when it comes out on the PC.